From within Diamond’s NetBranch Online Banking or through Diamond’s Mobile Banking app, you can easily transfer money to and from your accounts at other financial institutions, or send money to any person. 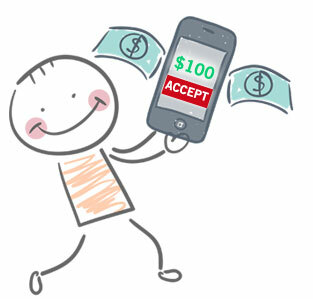 Move money from your Diamond account to anyone using just their cell phone number or email address. 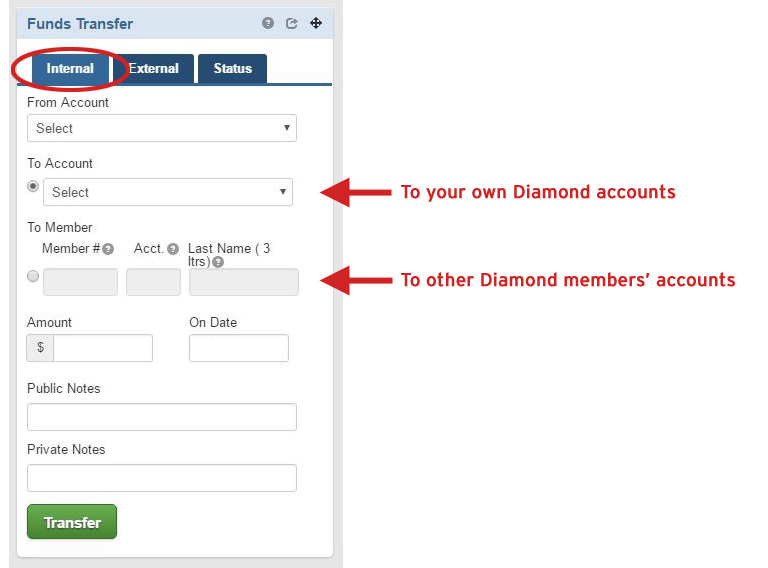 If you need to move money from your Diamond account to a non-Diamond member, now you can do so easily without writing a check. All you need is the person’s cell phone number or email address to make the transfer happen. 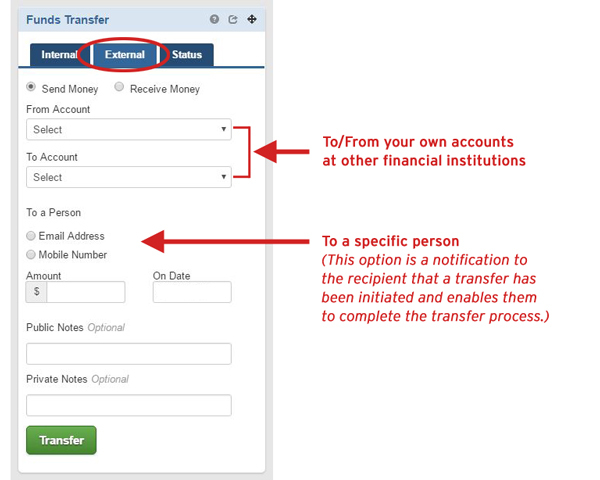 You authorize the transfer, and your payee receives a notification with instructions to accept the funds. For assistance or more information on moving money, contact us or stop by any branch. *Your name must be on the external accounts at the other financial institutions and you must have electronic access to those accounts in order to complete the authentication procedure. Once set up, you will be able to transfer funds from the external accounts to your Diamond savings, checking, money market and loan accounts. Transaction processing and posting times may vary.